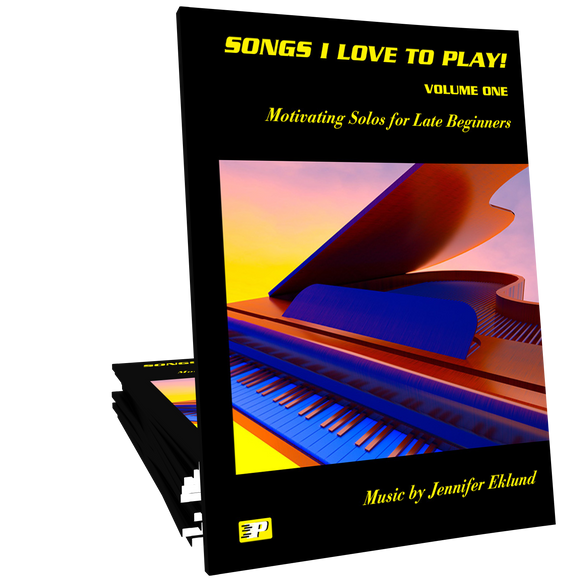 Songs I Love to Play Volume 1 features fun and motivating solos for late beginners of all ages. 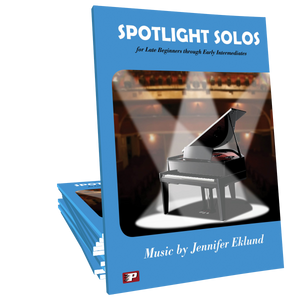 Recital-ready arrangements of popular themes and original compositions by Piano Pronto author Jennifer Eklund. Lots of great selections in here! 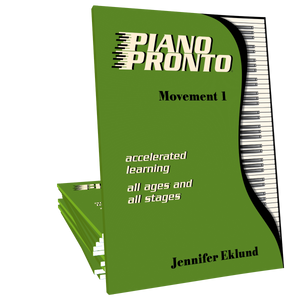 Students can grow with this book too, as there are some easier and more challenging pieces. Some arrangements and some originals. I realized this year how wonderful this book is for the patriotic selections! My students have learned some of these over the course of the year, but as July 4 looms near, we are making sure they can play them all for an Independence Day Concert for their families. One boy, in particular, was so excited to play these for their family celebration and have a fireworks show at the same time! This collection contained the first Eklund pieces that I had in my recital. They were absolutely stunning! I had a girl who played "End Game" and some of the comments from the audience were "Loved the speed and fierceness" and "It looked tricky, but it sounded great!" These pieces really will show off your students! My students love all the songs from this book! Big hit! At home practice has really taken off! Great arrangements and great selections of pieces! I gave this book to a student several weeks ago and it's been just the thing to light her eyes up and give her a greater desire to spend more time practicing during the week! It's a real 'winner' in my studio! This is a great collection of fun songs. Great supplement to lessons books and gives a nice variety of genres to talk about and introduce students to. Use both this and Vol. 2 and love them both. Songs I love to Play is the perfect supplemental book for students no matter what method book they might be in. 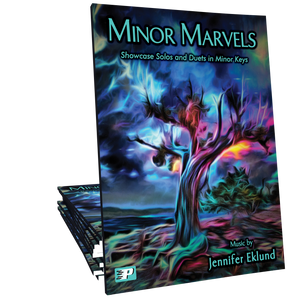 The book gives a nice range of different musical genres and styles that motivate and capture students to want to learn more. The arrangements are clean, well done and very fun to play. Wonderful! Every student will find something motivating in Songs I Love To Play! The originals composed by Ms. Eklund are marvelous! One student remarked that “Someday” is “like a song you would hear on the radio.” I am so excited that Vol. 2 is now available. Buy this book. You will not regret it! Excellent book marvellous blend of songs, and just the right level. An excellent adfition to any routine. If you are looking Pupil Saver pieces for those students who need a little boost, this book is perfect for them. There is something for everyone here Especially boys !! I hadn’t ordered this book earlier because I had the Piano Pronto Greatest Hits and assumed they were the same. How wrong I was! I have used my studio copy of the greatest hits for several students @ it was always a hit. However I can see that the editing and revamping of the pieces is spectacular. Thanks Jennifer for your amazing arrangements of well known songs, as well as your ability to compose music that students like! I have an adult student using this book. He is doing very well with the familiar songs. It has clean, easy to read pages. Thanks. This is hands down the favorite supplement in my studio. An excellent mix of folk tunes, familiar classical themes, blues, pop, and more! It appeals to every age in my studio, no matter what the method book. So glad to be able to offer this to all my students!